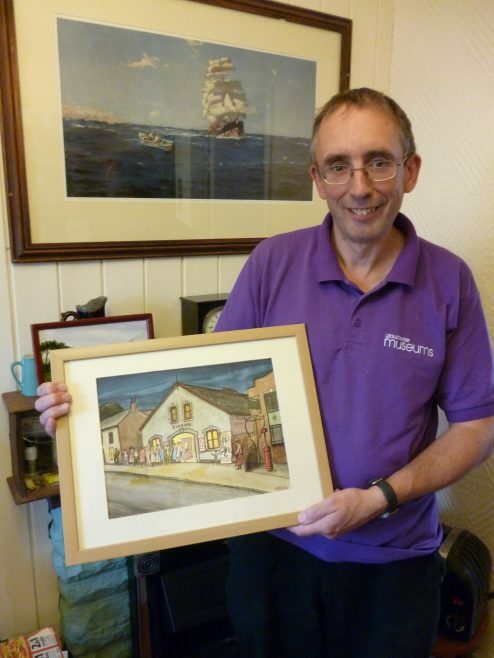 Mark Cunningham is a self-taught artist who is very familiar with the Barton and Tredworth Area. Some of his most well-known work includes the creation of the signs for the Picturedrome on Barton Street, which were made for the ‘Challenge Anneka’ refurbishment in 1991. Mark’s pen and ink drawings reflect his fondness for the Barton and Tredworth area, and show a certain nostalgia for the past through a projection of period detail onto contemporary scenes.